Halloween weekend technically kicked off yesterday, but in the spirit of keeping the party going, make sure you drop by the early set at Analog Cafe tonight. Presale tickets may not be available anymore, but seeing locals Shannon Entropy with New York's Sunflower Bean and the Lemon Twigs is worth the $12 door price. Things are kicking off early with doors at 6pm, but try not to miss Shannon Entropy's indie meets psych-hop set. Their atypical approach to sonance was first shared with the world earlier this year through their debut The Tamale EP, which also helped them win one of our Artist of the Month polls back in September. 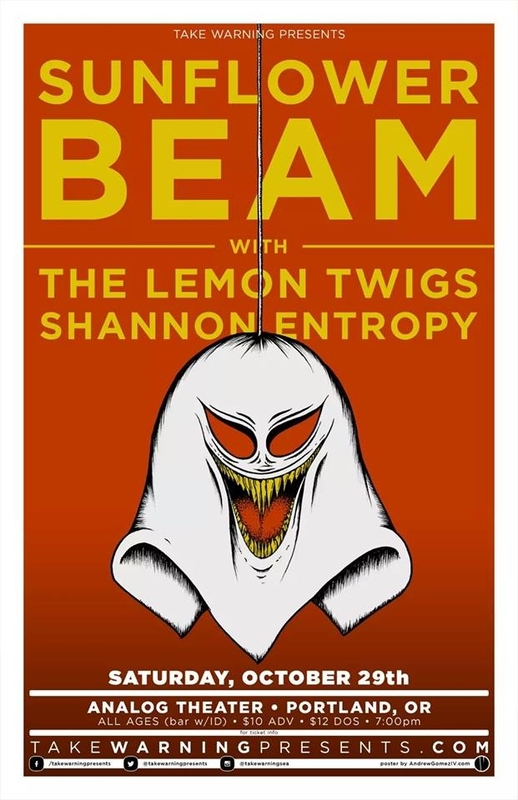 Shannon Entropy is truly unlike any other indie act in town so it makes sense they were asked to open for the poppy glam rock of the Lemon Twigs and bedroom rock of Sunflower Bean. It'll be a lively evening performance worth checking out.